Track your drug, research chemical and nootropic use. A harm-reduction tool. Keeping a log REALLY helps keep you in check. I've been doing it for a few years now and it really puts in perspective. Mind you, even when my use goes off the deep end, even seeing the numbers in front of me doesn't stop me, but it's nice to have that data. Chemdiary is a free and private website to track your use of drugs, research chemicals or other substances like nootropics. Most responsible drug users keep some kind of log, often on a notepad or txt file. Chemdiary tries to improve this log so you can get further insights on your use. 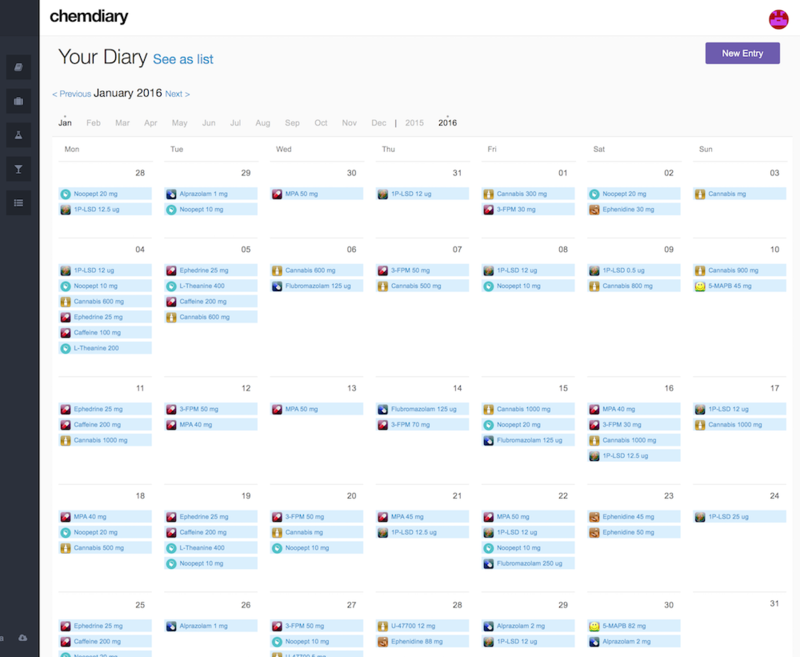 You will have a calendar and list view to log your daily substance use. Every time you dose a substance add a new entry with route of administration, amount and notes about the experience. That way you can have historical data of your use of each substance. 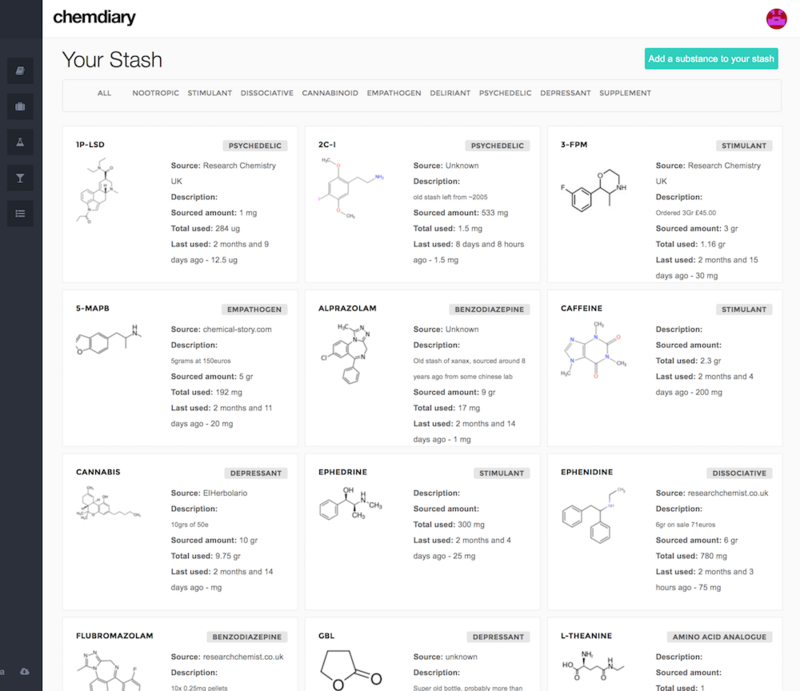 You can check every dose of that stash and filter your stashes by the category of a substance. Export your data Your data is yours, and you can export all your entries and stash information to an excel file whenever you want.